This year I got a chance to attend Hindu wedding and have a look at all of the customs and traditions they follow in their weddings. 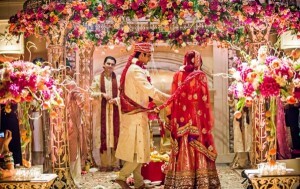 If you are living in India, you must know the basics of Hindu Weddings, so let’s dig inside the Hindu weddings. In Hindu scripture, marriage is meant to unite the bride and groom firmly so that they may pursue their dharma(duty) together. They consider that marriage is for life. And if it’s true love, then Hindu is reborn with your soulmate in each cycle of reincarnation so that the bride and groom may both be together forever. Isn’t it such a beautiful culture? While the rituals of Hindu marriage n more interesting where the bride and groom comes to the mandap commits to remain faithful to each other and repeat the pledge in front of the Fire God called as Agni. Then they walk seven rounds together committing to seven marriage vows to each other. Then the family bless them as a couple and wish them a happy married life. After welcoming the groom and his family, they start the ceremony with prayers to Lord Ganesh to bless this occasion and make the marriage ceremony free of obstacles. Then the families pray together for the auspicious day of bride and groom. Now comes the beautifully decorated bride along with her maternal uncle, bridesmaid and groom’s men. 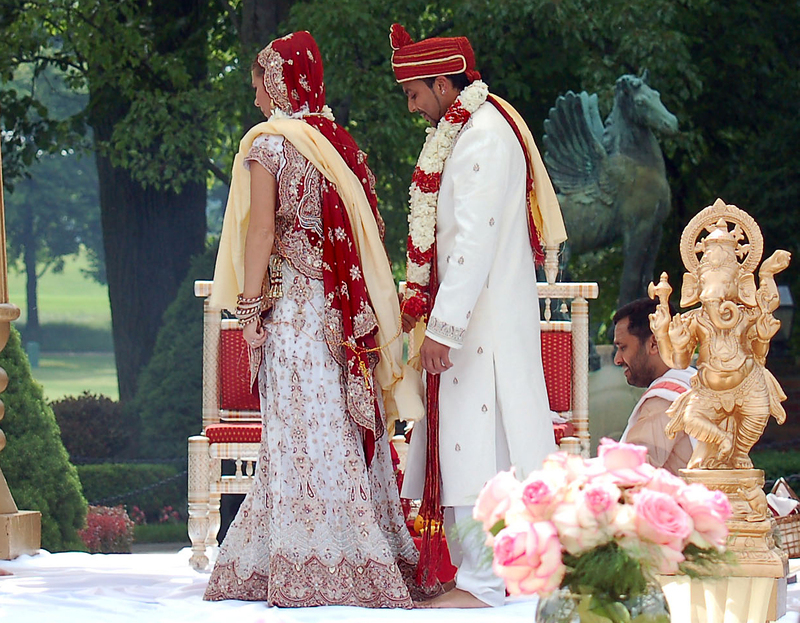 An auspicious cloth separates Bride and groom as a symbol of their separate existence prior to the marriage. 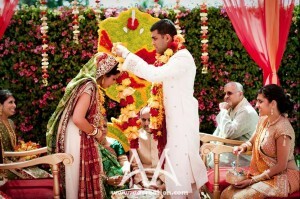 Pandit recites the mantras (prayers), while the bride and groom garland each other. The pandit makes sure to explain them the objectives of the wedding. 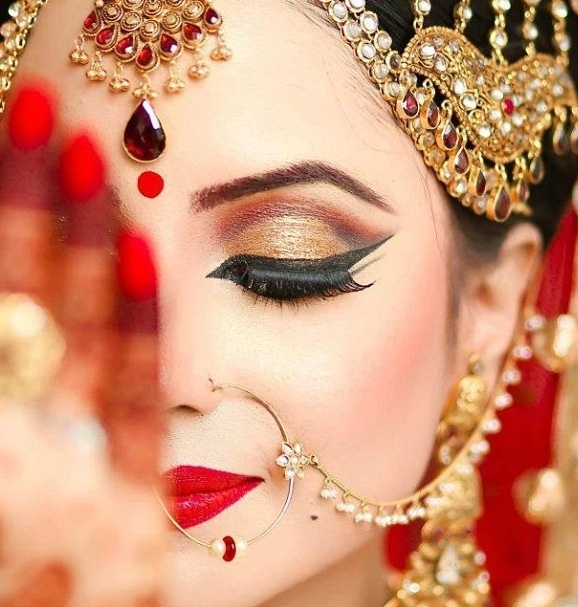 In this ritual, the bride’s mother pours holy water into bride’s palms which flows into grooms and then into bride’s palms, it symbolizes the continuity of life and passing of the family heritage to the next generation. Bride and groom accepts each other hands with blessing of heavenly gods with the promise to stay together for their rest of their lives, as the tradition they tie each other’s wrists with sacred thread which is called Sutrabandhanam. That I may fulfill, my Dharma of the householder, with thee ! This is the most famous custom of Hindus, where groom adorns bride’s neck with mangalsutra, a necklace symbolizing the love, good luck and friendship. Then groom applies kumkum on bride’s forehead. 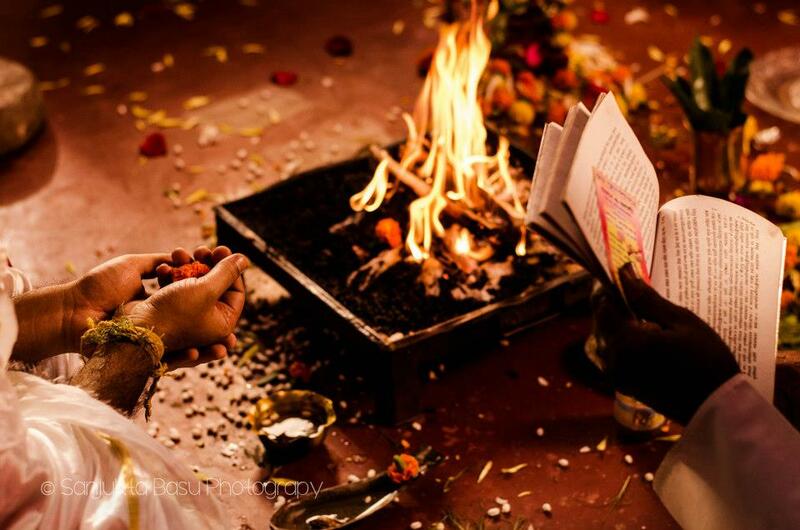 The couple lights the Agni, the holy fire that symbolizes light, power and knowledge. Bride and groom repeat the sacred pledge of marriage and request agni (fire) for their prayers. Here they circle the sacred fire four times; they are supported by bride’s brother as her lifelong supporter. I am sure we must have seen this in most of the Bollywood movies, I never thought that this would mean so much to the bride and groom. Pandit started explaining the meaning of each step. 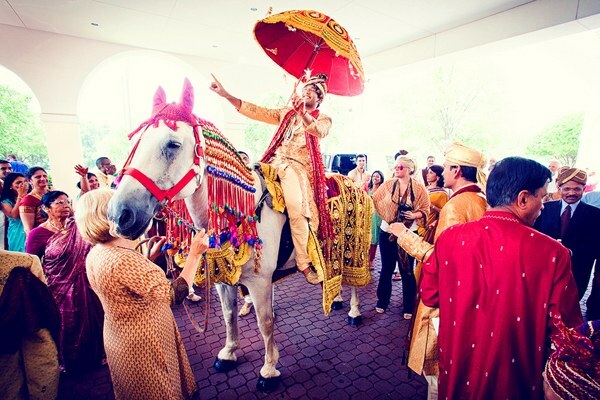 He beautifully described the promises which the bride and groom take in all the seven steps. And then they are declared as Happily Married ever after!